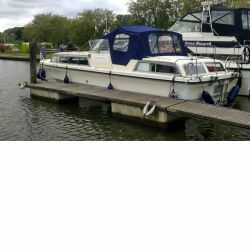 Welcome we have many new and used boats for sale - Advertise your boat for sale free! We accommodate searches all types of boats, new, used boats for sale, power, sailing craft, dinghies, cruisers, work and fishing boats, marine craft, new craft, fishing craft, motorboats, superyachts even barges! We will help you to sell your boat FREE ! You can place a free advert to sell a boat. The advert remains active on the Website up to a maximum period of one year. If you want to include a single good quality picture of your boat then thats free. Multiple pictures on one image is not accepted as the thumbnail will not be clear and will detract from the listings. We make a small charge for featured adverts where you can have up to 10 pictures to help in your sale. We limit FREE advertisements to one running at a time. When buying a boat from a contact on this web site you always deal directly with the seller. We make no charges or receive no commissions. We are not involved in the buying or selling procedure that is entirely between the seller and the buyer. The same applies to the buying and selling of boat parts on the Website. When you sell items please ensure that payment is made correctly and fully before dispatching or shipping or allowing collection. Always get your money before releasing the goods from your possession. We take no part or responsibility for your sale or payments. This is your responsibility! Warning for buyers please have a look at this page. Princess, Hardy, Hatteras, Bayliner, Azimut, Fisher, Hunter, Searay, Bavaria, Westerly, Beneteau, Jeaneau, shetland, Sea Ray, Broom, and many many more. Good luck with your searching. The decision whether to accept or not accept advertisements for boats or parts is entirely our decision which is final. We do not accept any unsuitable advertisements and should any advertisement offend for any reason this should be brought to our attention via email. We welcome links to boatsforsalenow.com from other boat and marine related websites.